This section will help you set up certification of both types. This certificate is awarded automatically to all students once they complete the course (attain 100% progress). Make sure Certification is turned on in your course by checking the option under Course Setup > Advanced. 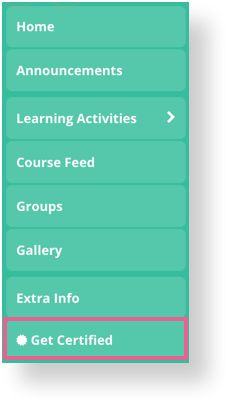 You should be able to see the Certification tab in your course navigation. Go to this tab and click on Settings. Select 'OpenLearning Certificate' as Certification Template and Save. 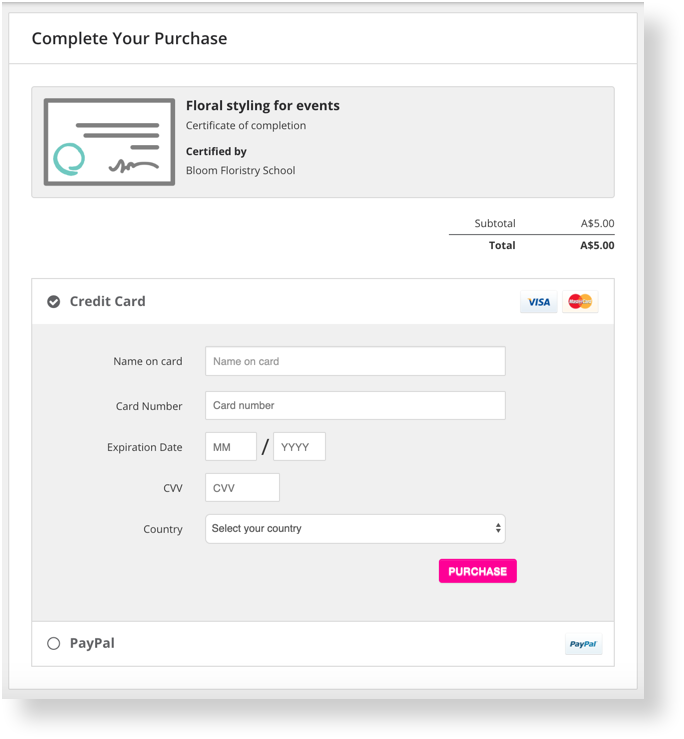 Click on Setup certificate appearance to customise the design of the certificate including its background, your institution logo (if any) and teacher details. 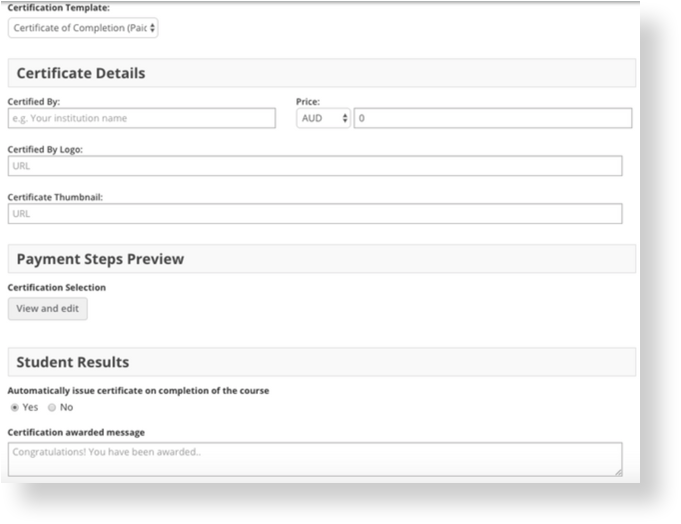 Certificates will now be automatically emailed to your students when they complete the course. 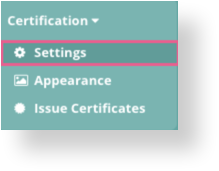 Go to the Certification tab in your course navigation and click on Settings. Select 'Certificate of Completion' as the Certification Template and add in all the relevant details. Don't forget to Save once you're done!